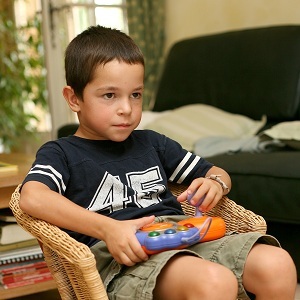 MathRider » Blog » How Useful are Educational Video Games? « Should I Allow my Child to Use Social Media? Computer games could become effective teaching aids, given the video game format has many advantages over the old-fashioned school lecture. First, games are able to break down complex tasks. Because video games work on the principle of “simple to complex”, tasks are given out through a series of small steps in order for students to achieve them. This allows students to learn how to dissect a big problem or task into smaller ones and in doing so, they become more efficient learners. 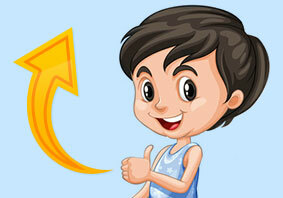 Second, games provide immediate and continuous feedback. A child won’t have to wait for hours or days to know if they made a mistake. Educational video games will and can immediately point out if something is wrong or missing while the learner’s momentum is still there. Because of the immediate feedback, learners are exposed to what they need to do and what they don’t need to do. This will eventually resolve to a higher order thinking activity called SYNTHESIS. In line with higher order thinking, namely ANALYSIS, SYNTHESIS, and APPLICATION, game-based tasks will often ask students to come up with their own hypothesis and experiment. Problem solving approaches to educational video games can promote these higher order thinking skills and will help learners become more engrossed and more involved in the learning process. Are well-designed educational video games the future of instruction? In the previous paragraph, I talked about how educational video games could become effective teaching aids. Sasha Barab and colleagues designed and created Quest Atlantis – a 3-D multi-user virtual environment where school kids aged 9 to 16 can learn lessons in writing, math, biology, space science, and social studies. Players are immersed in this virtual world, each with their own persona or avatar that can interact with other characters. The players become individual protagonists in a series of interactive tasks and they will encounter challenges–like a polluted river that needs to be cleaned, for instance–and explore solutions for them. These realistic problems will allow kids to experience the consequences of their decisions and revise their solutions accordingly. One group learned by playing the full immersion of the Quest Atlantis game – with avatars and 3D simulations. Afterwards, the students were given several tests, including a multiple-choice test and open-ended critical thinking tests that required students to apply what they had learned to a new problem. The students who learned by playing educational video games performed better than the students who learned from the electronic textbook, but the students who played the 3D full immersion game performed better than the other groups in the critical thinking task. With results like these, some people might entertain the notion that educational video games can actually replace classroom instruction. Can they, really? Not likely. Quest Atlantis was designed to be used in classrooms, where students can interact on and off-screen, but the whole point of projects like Quest Atlantis is to replace the old fashioned “sit and listen to the lecture” approach with interactive learning. One research shows that a computer game used in schools teaches misinformation about shapes and according to this game, if you tilt a square on its vertex, it’s no longer a square. It’s a DIAMOND! Can you imagine the confusion it could cause children? Similarly, I’ve had seen my fair share of “educational” video games that teach bad lessons about arithmetic. There’s this one game where a child is asked to select two groups of fish to create a new sum – e.g. 4 fish + 4 fish = 8 fish. What was the problem here? The authors were lazy and didn’t anticipate the possible ways that kids could combine the fish, so their programs only covered 4+4 and 5+3. If the child wanted to get 7+1 or 6+2, then he or she would be prompted wrong by the game. Other games also add education as a superficial element, like a “math” action game that asks kids to shoot down numbers. More importantly, electronic educational games that were designed as poorly as the ones listed in the previous examples failed to provide flexible feedback. Are there other really good educational video games? For those who’re looking to find a very good example of an educational video game, one math game garners recognition as one of the most popular educational video games. What did we think of Math Rider? The concept of the game is solid and it keeps track of the child’s progress, which is a very important aspect of any good educational game. The idea of going on quests is very fun from a child’s point of view and the activities keep the children engaged for a time. The graphics, albeit not the best in the industry, does its best to give students the best interactive environment possible. You can check out more information about MathRider here. Educational games should not be used as a replacement for teaching and instruction, but rather, they should act as supplements and reinforcements. Games like MathRider and Quest Atlantis cannot rely on independent teaching and instruction alone via the interactive environment, which is why the traditional sit-and-listen style of learning is still the best way to build the educational foundation of your child. This entry was posted on Thursday, December 3rd, 2015 at 4:23 pm	and is filed under CS, Features. You can follow any responses to this entry through the RSS 2.0 feed. You can skip to the end and leave a response. Pinging is currently not allowed.